A really elegant dress, made from rich, deep purple crushed velvet material with white embroidery. The embroidery design used on the dress is unique and particularly stunning. The addition of hundreds of Swarovski crystals ensures that the light reflects beautifully and the design can be fully appreciated. 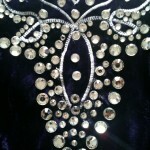 Deep purple crystals have also been added to the skirt to add that extra sparkle. A handful of extra deep purple crystals are included in the sale. 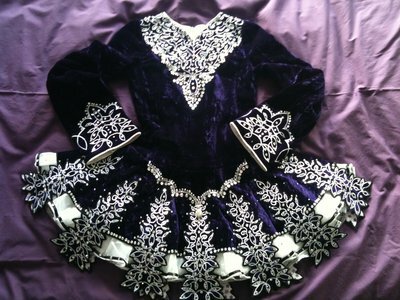 The dress is extremely light to dance in and very effective on and off stage. 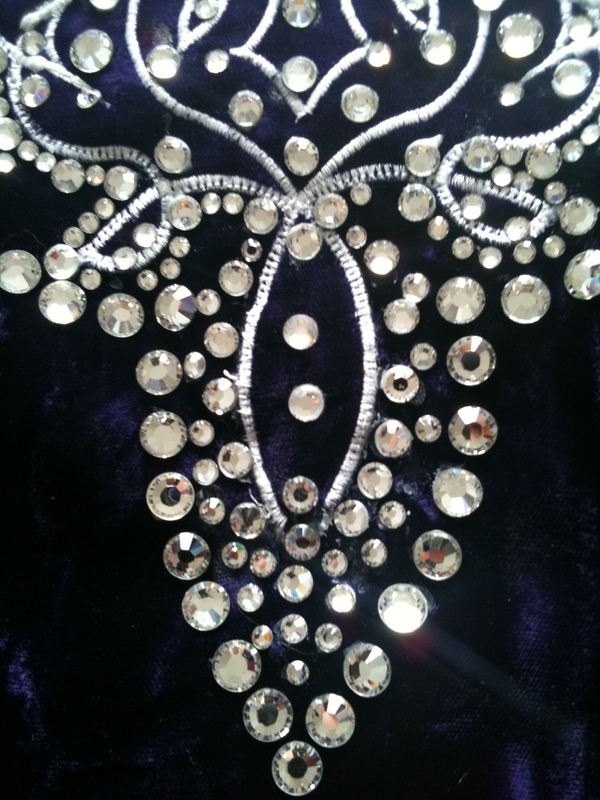 It comes with a crystal brooch sewn on to hold the soft cape, and a crystal number clip. A reluctant sale : dancer has simply outgrown the dress. There is a little room to let out, but the dress has been let down to full extent.